For The Love Of Monkeys! Arn’t we all wondering what the best times to post on Facebook and Twitter! 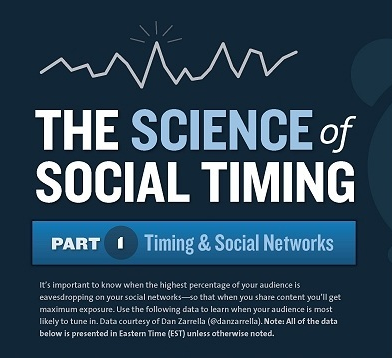 There is a lot of info on the web about what the best time time to post on Facebook and twitter is. Mashable offered up this article today. While this article sites 1-3pm eastern, which would be Noon to 2… coinciding with our lunch…. so does that mean we should be posting during lunch or after lunch in CST? NO…. other articles I’ve browsed seem to keep with the 1pm-3pm no matter what time zone your in but also offer up an early morning posting opportunity from about 10am to 11:30am… mornings may offer more engagement throughout the day. Also… I keep runing across this info graphic for… seen it on several sites so you might want to check it out too!